NAPA VALLEY, Calif. — The California sun is just beginning to burn off the morning fog that’s cascading over the Mayacamas Mountains as we make our slow ascent to the To Kalon vineyard’s most prized blocks of vines. 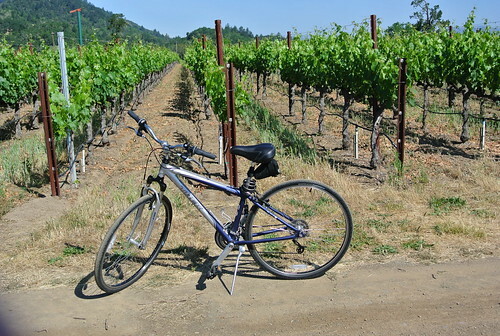 It is a comfortable bike ride, and by the time we reach “I Block”, where glasses of chilled Fume Blanc from this very vineyard are waiting, the sun has obliterated any sign of the cooling mist that shrouds Napa’s west border most mornings. It’s only early May but already the vines are showing lush foliage as tiny flowers begin to emerge, setting off an annual ritual that turns grapes into wine in the most important wine region in the U.S. It will be a stressful season of relentless sunshine beating down on the vines with little or no relief from rain until fall. Up here, in the northwest corner of Robert Mondavi Winery’s share of the To Kalon vineyard, snuggled up against the Oakville bench, these 68-year-old vines, believed to be the oldest Sauvignon Blanc in the New World, are a freakish mess. There is no discipline, no geometric order to the freestanding, head-trained and gnarly-twisted vines planted in wide rows, 8-foot by 12-foot (454 vines per acre). These bush vines are thick, unruly and utterly deranged in their untamed state. They are totally impractical, of course, yielding small, yet intense berries that in a good year produce a paltry half a ton of fruit per acre. 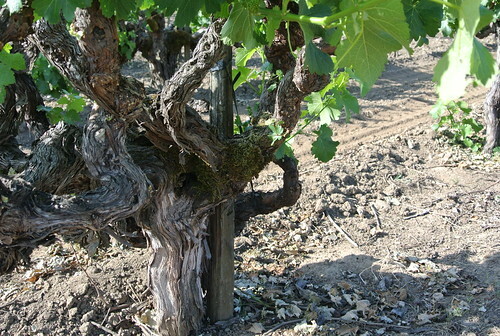 It’s hard for an accountant to see the upside of the old vine To Kalon vineyard planted in this manner. A number cruncher would tear out all the Sauvignon Blanc, justifiably so, and plant high-density vines in 4-foot by 4-foot rows (2,750 vines per acre) all to Cabernet Sauvignon. Yeah, $200-$350 a bottle, compared to $85 for the top To Kalon I Block Sauvignon Blanc, that’s what sends the ledger from red to black in a hurry. And with vineyard land in Napa selling at $300,000 an acre and up … well, you can do the math. 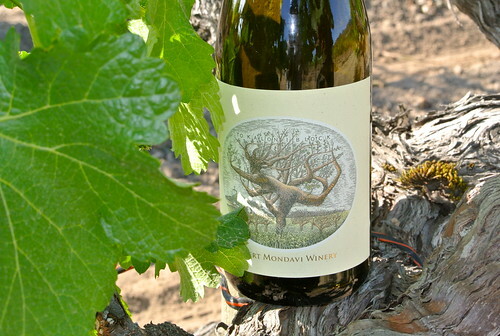 But at the Mondavi winery, it’s not always about the bottom line. They have history to preserve, a reputation to uphold, and their proudest legacy lies right here in this beautifully incongruous vineyard planted in 1945 at the highest point of the winery’s holdings. 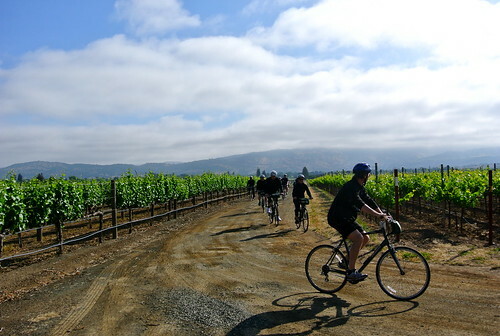 I Block is living proof of the past, the link that gives Napa Valley its rich history. To Kalon “The Beautiful” was so named by one of Napa Valley’s first wine pioneers, Hamilton Walker Crabb, shortly after he planted his first vines in 1868. Crabb and other early grape growers and winemakers, including George Yount, Gustave Niebaum and Thomas Rutherford, established an industry that would grow to 140 wineries by the end of the 19th century. 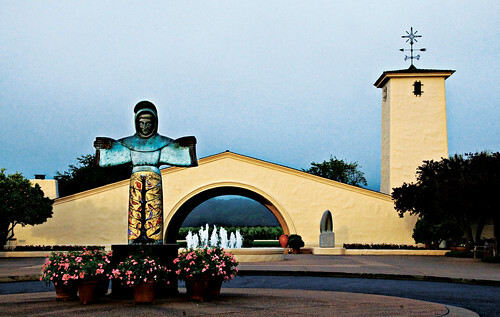 Several of those wineries still exist today: Beaulieu, Beringer, Charles Krug, Chateau Montelena, Far Niente, Mayacamas, Markham Vineyards, and Schramsberg Vineyard. Crabb’s To Kalon vineyard consisted of 130 acres of vines by 1877 and he was making almost 200,000 litres of wine a year using an astonishing 400 different grape varieties as he experimented with what worked best in the well-drained, gravelly loam soil on the slopes and alluvial, loam, and clay on the valley floor of his unique vineyard. Crabb died in 1899 and his beloved To Kalon changed hands several times through the 1900s before being bought by Robert Mondavi where, at 53 years old, he established his iconic winery in 1966 surrounded by the vineyard. 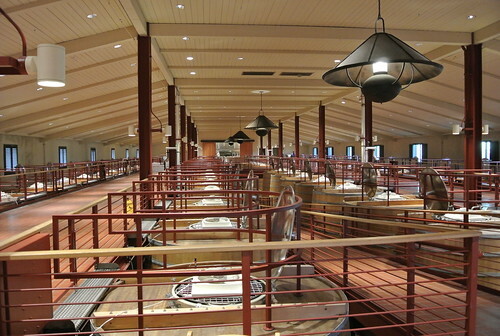 It was Mondavi’s primary goal to combine European craft and tradition with the latest in American technology to make Napa Valley wines of world-class quality. Mondavi, who died in 2008 at the age of 94, acquired 450 acres of To Kalon, the lion’s share of the vineyard, which is also owned by Beckstoffer Vineyards (90 acres), Opus One (100 acres) and the University of California at Davis (20 acres). The vast majority of the vineyard is planted to Cabernet Sauvignon with supporting red Bordeaux varieties for blending and a little Semillon to blend in with the old-vine Sauvignon Blanc. Grand Cru is not a phrase used officially by anyone in Napa Valley, but it is whispered in certain circles when referring to the To Kalon vineyard. 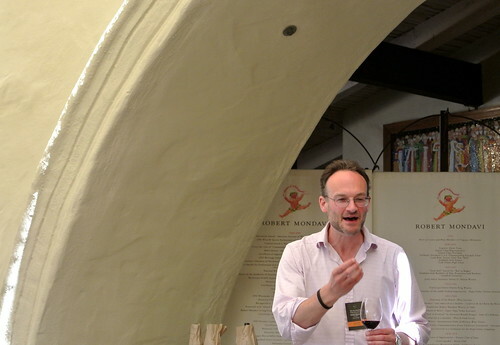 According to Master of Wine Mark de Vere, from the Constellation Academy of Wine, terms like Village, Premier Cru and Grand Cru are used more as a metaphor to describe the various parts of To Kalon with the highest quality coming from the back of the vineyard (the vineyard rises 23 m to 152 m front to back). De Vere admits to an obvious bias, as he is employed by Constellation Brands, the company that now owns Robert Mondavi Winery, but there is no doubt To Kalon provides some of the most sought after fruit in Napa Valley, most of it Cabernet Sauvignon that’s undergoing replanting to high-density vines using various trellising systems as the older vines succumb to age. Aside from fruit Mondavi and Opus One own, To Kalon grapes are sold to over 23 different wineries in the Napa Valley, most from grower Andy Beckstoffer’s holdings (UC Davis sells much of its fruit to Silverado). The vast majority of those bottlings are clearly marked To Kalon on the label, which is only permitted if 95% of the fruit is from one single vineyard. 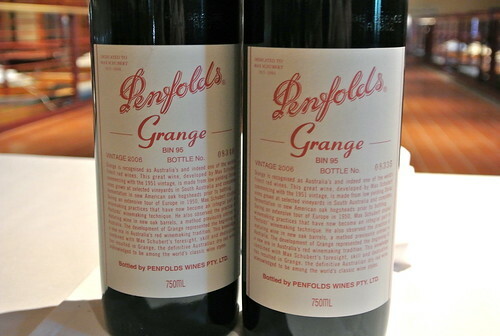 A bare minimum price for these wines seems to hover around $90 a bottle with prices reaching $350 and beyond. It has been suggested that the more you sell your Beckstoffer To Kalon wines for, the higher the price you are charged per ton to purchase the fruit; a sliding scale, if you will, that can reach $25,000 a ton (the Napa average hovers between $6,500 and $7,500 per ton). Tasting a collection of To Kalon wines together shows a common element that seems bound by terroir and only separated by the artistry of the winemaker. It is, as Jannsens, Dowell and Durling suggest, the quality of the place that shines through all the wines and a refinement of the tannins that make these wines some of the most sought after in the Napa Valley. As an ode to Robert Mondavi’s oft stated credo: that his wines can stand beside the best in the world, we are poured, in order, Krug Grand Cuvee Brut, Domaine Gros Clos Clos-Vougeot Musigni 2009, Chateaux Margaux 2006, Sassacaia 2008 and Penfold’s Grange 2006 all served one after the other as we move slowly around the To Kalon winery that was built exclusively to make the wines from grapes that were harvested from the To Kalon vineyard. 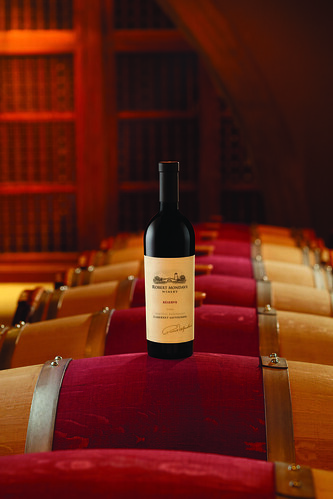 In 2001, Janssens and Robert Mondavi unveiled the To Kalon Cellar. It took five years to design and build the 20,000-square-foot state-of-the-art winery and it represents a complete re-imagining of the vinification of red wine fruit from To Kalon. 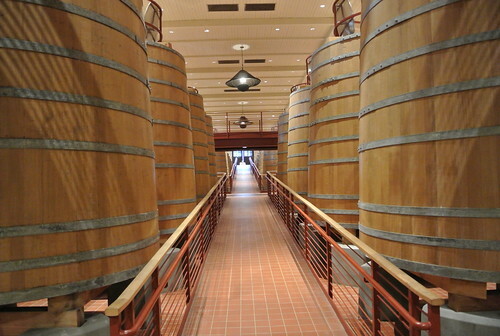 The 56 5,000-gallon Taransaud oak fermenters form the backbone of the red winemaking program. 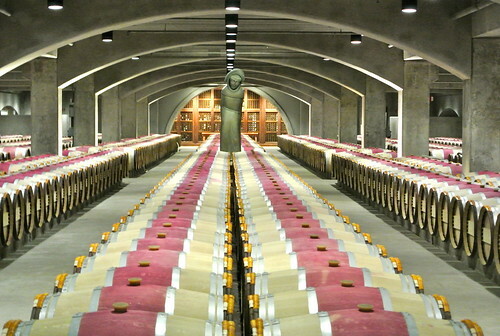 The winery is entirely gravity flow, gently allowing wines to age in the first-year barrel room where the winemakers choose from among 10 different coopers to achieve the complexity and balance they seek. It is a spectacular sight, all clean lines and fine oak in perfect symmetry from top to bottom where, three floors down, new French oak barriques house the wine for nine months before moving to another cellar for a further nine months. 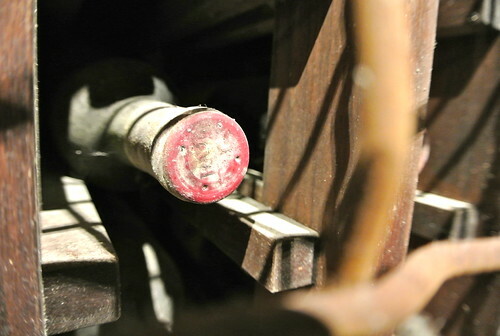 The wine spends a further year in bottle before being released. It is the Robert Mondavi Reserve that is the flagship wine of this storied winery, and the wine most closely associated with To Kalon even though you won’t find To Kalon anywhere on the label. 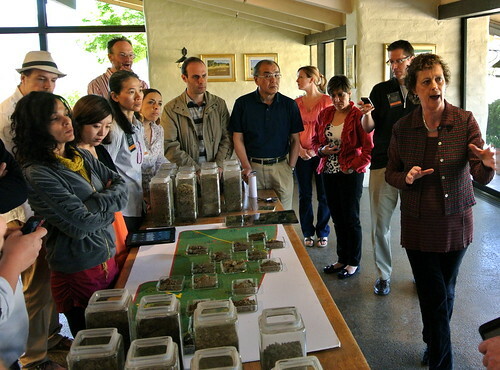 It only contains 90% of that vineyard’s fruit, a blending decision that Janssens hints could change with the 2012 vintage. She says the winery wants to honour the legacy of Robert Mondavi and finally putting his beloved To Kalon on the label of its most important wine would be the perfect expression of gratitude to the man who nurtured Napa’s most famous vineyard to its modern glory. Aside from the Reserve Cab, Mondavi also bottles a rare small-production Cabernet Sauvignon simply called To Kalon made from the oldest vines in the vineyard and available only at the winery for $250, an I Block Fume Blanc (which is a term invented by Robert Mondavi to differentiate it from sweeter style Sauvignon Blancs) from old vines that sells at the winery only for $85, the Fume Blanc Reserve from a blend of older and newer To Kalon vines that sells for $50, and Oakville Cabernet Sauvignon made from 100% newer To Kalon plantings and sells for $55. 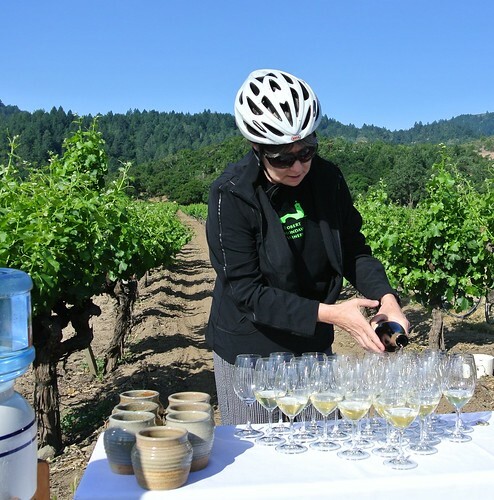 Some other wineries to produces wines from purchased To Kalon fruit include: Alpha Omega, Bacio Divino Cellars, Bounty Hunter Rare Wines, Morlet Family Vineyards, Paul Hobbs, Provenance, Realm Cellars, Schrader Cellars and Tor. 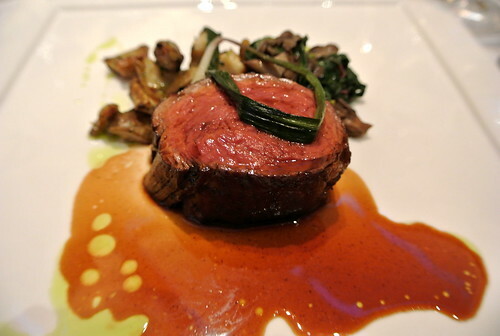 The Five Dot Ranch ribeye, blood rare and as tender as warm butter, is served with roasted sunchokes, Maitake mushrooms and braised ramps with Bordelaise sauce. It is as perfect in the mouth as it looks on the plate but it is the wine on the table that makes me swoon. Four decades of Mondavi Reserve Cabernet from the vineyard that surrounds us on this warm spring evening. Our view from the floor to ceiling windows that look out onto the To Kalon vineyard is breathtaking as our stemware is charged with Cabernet Reserve 2009, 1999, 1989 and 1979. Forty years of To Kalon, a snapshot through time that shows the complete transformation of this wine as it ages ever so gently. The subtle freshness and brightness of dark fruits, fine tannins and spices in the current 2009 vintage give way to lovely tertiary flavours of black olives, garrigue, herbs and bay leaves with softening tannins and integrated spices in the older vintages. These are wines connected by their place, the sprawling vineyard from which they are grown, To Kalon, or simply and utterly appropriate, The Beautiful. 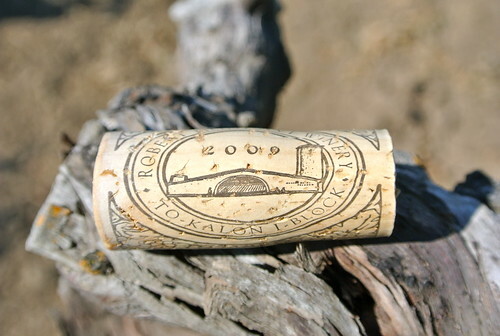 Robert Mondavi To Kalon 2009, Oakville, Napa Valley ($250, 94 points) — This is the epitome of the To Kalon vineyard, the benchmark, and a pure expression of single-vineyard Napa Cabernet Sauvignon. It is 100% Cabernet Sauvignon sourced from two To Kalon blocks planted in the 1970s. It is complex and just about as elegant as a Napa Cab can be with aromas of wild berries, crème de cassis, black currants, bay leaves, black licorice, garden herbs, loam and cocoa. It is full and broad on the palate as the fruit builds in intensity and the elegant oak stylings and array of yummy spices chime in. It is a stunning wine with assertive tannins and verve through the finish. Nicely integrated now but will develop further for years to come. Robert Mondavi Cabernet Sauvignon Reserve, Oakville, Napa Valley 2009 ($145, 93 points) — Mondavi’s flagship wine and considered by some to be one of Napa Valley’s “First Growths.” This contains just over 90% fruit from To Kalon with a bit of Cab Franc and Petit Verdot added to the blend. It is a grand wine with notes of blackberry, dark plums, kirsch, cedar smoke, thick cassis, black currants, black olives, graphite, bay leaves and a smidge of wild herbs, spice and loam. This is a big wine that’s driven by rich, thick fruits on the palate that are complex and balanced by equally profound spice notes, polished tannins and a vibrant core of acidity. I would buy and hold for a few years or serve now with a big juicy ribeye steak. Provenance Cabernet Sauvignon TK2 Beckstoffer To Kalon 2010, Oakville, Napa Valley ($95, 93 points) — This beauty shows rich aromas of cassis, blackberry, cherry-kirsch, loam and spices to go with wild herbs and cedar notes. 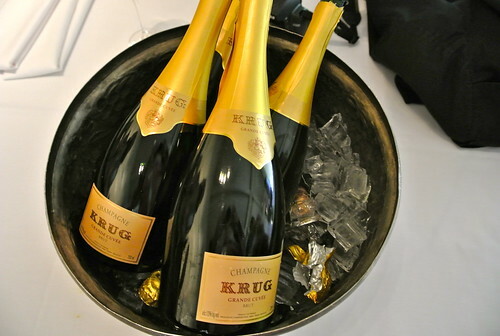 It is simply gorgeous on the palate with soft, supple fruit that is ripe, concentrated and silky in the mouth. This is heady stuff, luxurious and complex yet not at all chunky with a gentle vibrancy through the long, lingering finish. Alpha Omega Cabernet Sauvignon Beckstoffer To Kalon South 2010, Oakville, Napa Valley ($150, 92 points) — A lot going on here on the nose: Blackberry, dark plums, cassis, tobacco leaf, cocoa powder, wild berries and sweet oak spices. The flavours are expressive and compact on the palate with a baker’s rack of spice harmoniously woven in. 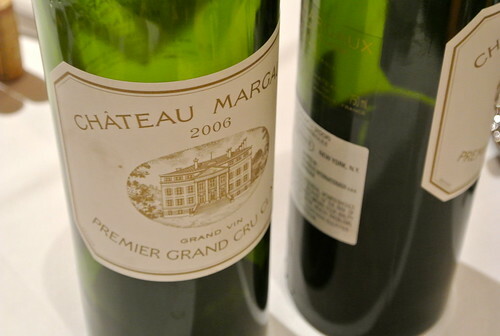 It’s all backed up by chewy tannins and fairly decent acidity through a long finish. Robert Mondavi Cabernet Sauvignon Oakville 2010, Oakville, Napa Valley ($55, 91 points) — I don’t think you’ll find a To Kalon wine for less money than the Oakville from Mondavi. It’s a blend of 88% Cabernet Sauvignon, 7% Cabernet Franc, 4% Merlot and 1% Malbec from newer To Kalon plantings. The 2010 vintage is slightly cooler giving this wine a bit more finesse on the palate. The nose shows classic black fruits of cassis and blackberries with cherry fruit, mocha, peppery spices, licorice and tar notes. There is a raciness on the palate from higher acids but the fruits are ripe and bold with integrated spice, oak and tannic structure. Robert Mondavi To Kalon I Block Fume Blanc 2009, Oakville, Napa Valley ($85, 92 points) — Fume Blanc is just Mondavi’s way of telling consumers this is a completely dry Sauvignon Blanc. I Block is the oldest planting of Sauvignon Blanc (1945) believed to exist in the New World. This is heady stuff with a vibrant and expressive nose of gooseberry, citrus-lime, lemon zest, white flowers, crushed rock and then tropical-peach aromas as you swirl the wine in the glass. It has such racy acidity in the mouth and that is matched by profound minerality, freshness of fruit and depth through the finish. An extraordinary wine, but you will have to go the winery to get it. Robert Mondavi Fume Blanc Reserve 2011, Oakville, Napa Valley ($50, 93 points) — This is made from 100% To Kalon fruit, 30-40% from old plantings. The nose is an intense mix of pear, citrus, guava, white flowers, minerals, passion fruit and lovely oak spices. It has weight and vibrancy in the mouth to go with succulent fruits and creamy spices through a long and glorious finish. Such a powerful white wine yet maintains balance and freshness through a long finish. Note: This story and reviews was first published in Tidings Wine Magazine.